Bed And Breakfast226 sq. 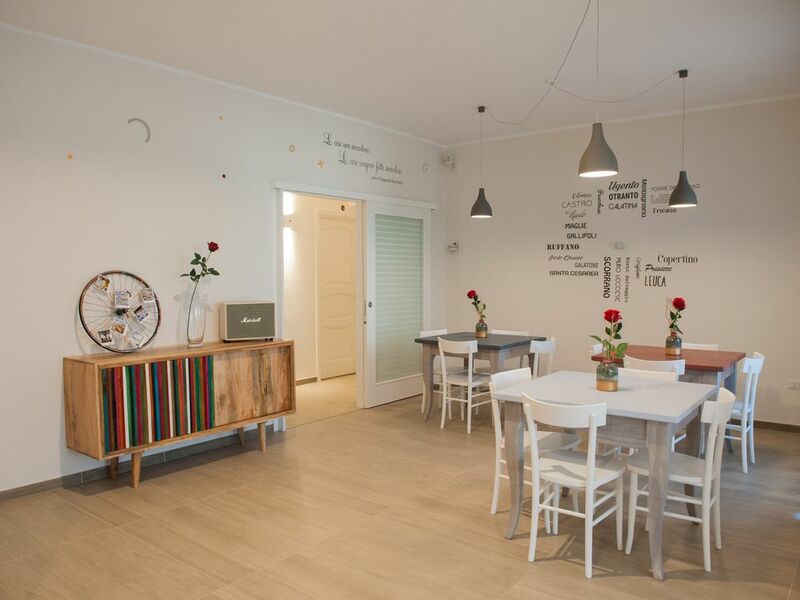 ft.
KissfromSalento® B & B + Bike, in the historic center of Lecce, offers its guests the availability of pedal-assisted bikes (ebike) of the latest generation, a bike shelter equipped for the recovery and minor repairs of their guests' bicycles, a fresh and genuine breakfast plentiful. Great attention is paid to cleanliness and hygiene: every time the guest is changed, disinfection is carried out by means of an ozonator in the structure, each room has a disposable cover for the protection of the TV remote control, in the common area there is an automatic dispenser Amuchina®. It is the ideal base to explore the beauties of the Baroque, it is a place to relax, live authentically and organize the next stage of your journey to discover an extraordinary territory, where every detail has been imagined and realized to make pleasant and original guests' stay: spacious and comfortable suites, natural wood furniture, jewel keychain, kindercorner on the terrace. It is located on the 2nd floor (46 easy steps, no elevator) of a small condominium complex close to the former Sant'Anna Conservatory.